Think all garden pots are the same? Think again! There is a specific garden pot or container for every growing method, and each one has an ideal growing medium to accompany it. By the end of this, you will know which pot you should be growing in. Read on to learn about root conditions, root pruning and air pruning to prevent root circles, how to improve aeration and drainage, and more. Root circles starting on the bottom of a potted plant. Click to enlarge. Root circles occur when roots become root locked or root bound. Roots expand out as plants grow, and eventually run into an obstruction such as a rock or pot wall. Then, they will turn the other way to continue growing. 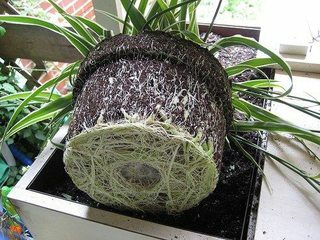 In the case of a pot wall, roots will continue to grow in a circle creating a root circle unless otherwise pruned or transplanted. Plants that have root circles can be transplanted to a larger pot but roots are not as efficient at expanding out into the new, fresh grow medium. If root circling is allowed to continue, plants become root locked or root bound. This is where roots become tangled and intertwined to the point that they choke. Plants that experience this show symptoms of under-watering, and leaves begin to yellow. Some root bound plants may continue to grow leaves but may never begin to flower. All plants are different and its important to know a little bit about your plant's genetics. Some plants need root binding to thrive. Click to enlarge. Root circles. Click to enlarge. Do you see signs that your plants are root bound or locked? Transplant them into a larger pot to allow more room for roots to grow. If the plant is badly root bound, you may need to flex the pot in order to get it out, or in severe cases, even break the pot to extract it. The plant may need to have roots pruned in order to free them from the root ball. Pruning roots is hard on the plant, but must be done in order to get the plant growing again. The plant may be stunted for some time before it begins to grow again and flower. Give it time and allow your plant to begin forming new roots and existing roots to expand out into the new grow medium. Are you growing in a hydroponic system? If so, you will either use net pots or no pot at all! 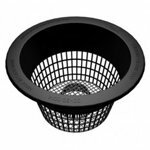 Net pots are ideal for deep water culture, nutrient film, aeroponics, and ebb & flow hydroponic systems. They support seedlings and cuttings well in propagation systems. Their open nature promotes drainage and aeration of roots, which is crucial in hydroponic systems. 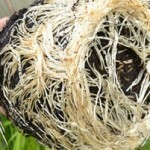 This also allows roots to grow through the net pot to reach the nutrient solution easier. Net pots come in square and round shapes ranging in size from 2” to 10” in diameter. Because of their strong plastic construction, they can be reused from growing cycle to cycle after being properly cleaned and sterilized. 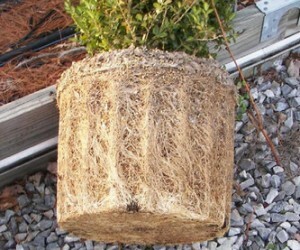 With fabric pots, the likelihood of plants becoming root bound is rare. These garden pots are quickly becoming a favorite in the gardening and horticulture worlds. 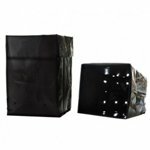 Fabric pots range in size from 1 gallon up to 500 gallons, and come in black, camo and tan colors. Some larger pots have handles, making moving plants a breeze. The breathable fabric allows for great drainage and aeration of roots. When the roots extend to the wall of fabric, they are exposed to air. 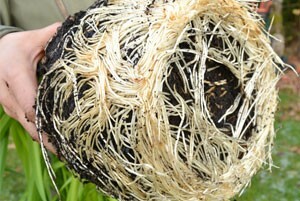 Because of this, the roots will be air pruned and start branching off in other directions instead of circling. 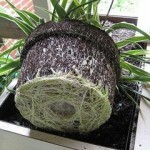 This is why it is very uncommon for plants to become root bound in fabric pots. The non-rigid form of these garden pots allows them to conform to whatever terrain they are placed in, making them very stable on uneven surfaces. They also tend to keep roots cooler in summer and warmer in winter (especially if you go with a tan one, as these deflect the most heat). At the end of growing cycles, fabric pots can be emptied and allowed to dry for a few days. Once they are dry, the inner walls and surfaces can be scraped clean and pots can be stored flat to conserve on space. Smart Pots are machine washable and feature ultra-violet stitching to resist fading. Looking for a tried-and-true pot to get the job done? Look no further. Injection molded plastic pots have been the standard go-to for years. Traditional garden pots feature strong, sturdy sides with drains at the bottom to allow excess water runoff. They can be easily stacked and are resistant to tipping over in wind. Some plastic pots can be used with hydroponic systems and all can be used with soil or soilless grow media in a traditional garden. These are easily modified for DIY projects and make great starting pots. Always choose a plastic pot that is larger than your initial plant needs. Make sure to transplant your plant as soon as roots reach the outer edge of the pot, ensuring continued healthy growth. These are as advanced as a garden pot can get. Air-pots are a relatively new style of plant container. Since they are hollow, they are very light and provide unparalleled aeration. Air pots feature concentric rings of cones pointing both outward and inward. The inward facing cones help to prevent root circles by disrupting roots near the walls of the container. The outer cones allow superb aeration and air pruning of roots. 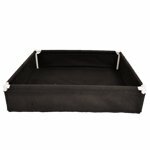 Fabric planters have a strong advantage over traditional wooden and plastic containers. These promote a healthy root zone by preventing anaerobic conditions in the soil. Fabric containers also insulate against hot and cold conditions, promote drainage, and air prune roots to prevent root circles. These containers assemble quickly without any tools needed and can be easily transported. Fabric planters have been UV treated to withstand years of sun and weather exposure without breaking down. Made from all natural Canadian sphagnum peat moss and wood pulp, these pots are biodegradable and contain vital plant nutrients. You can bury your plant and peat pot into the ground, and the pot will degrade over time. As a result, the roots can feed off the pot. 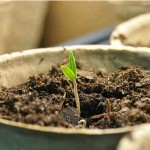 Peat pots are an organic solution to seed starting and transplanting. 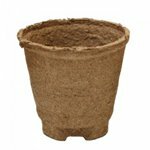 These peat garden pots also promote healthy root zones by allowing roots to grow through their walls. As a result, air will prune the roots and prevents root circles. 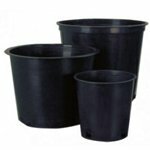 These are an excellent low-cost alternative to traditional plastic pots used by greenhouse growers. Plastic grow bags are specially designed to last longer than any other grow bag on the market. 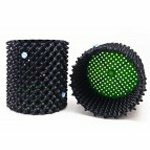 They have drainage holes in the bottom, and can be used with just about any grow media. Plastic grow bags are excellent for bedding plants, and are widely used in greenhouses . Plastic grow bags are more flexible than plastic pots allowing them to more easily flex to get plants out during transplanting. Planting pots are placed inside of saucers to catch excess water and nutrient runoff from plants. Saucers come in a variety of sizes and colors to fit just about any pot and style. 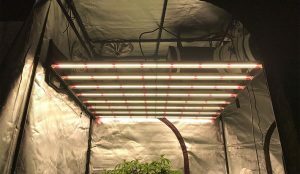 These are a great way to prevent water from spilling inside of your grow area and protect floors and carpeted areas when used indoors. 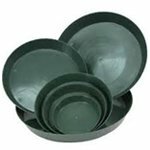 Saucers provide a strong, sturdy base to prevent tipping and can be washed and reused for multiple growing cycles. Using saucers makes checking water a breeze. The ribbed surfaces inside prevent pots from sticking to them while keeping plants elevated from excess water. It is important to check the pH of your nutrient runoff, and using a saucer collects the runoff to make this simple. You can either house each plant within a saucer, or use a large tray to house many plants. Either way, make sure you are doing something about your runoff. Best for: Protecting floors and other grow areas from watering overflow. I know you may be wondering what standard buckets and lids have to do with gardening. 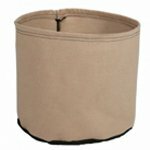 But these are perfect for containing and transporting both liquids and solids, and a number of other gardening purposes. You can create your own DIY hydroponic, aeroponic, or drip system with these. Many feature a steel carrying handle and an ergonomic grip. 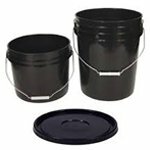 Growers can fasten lids on a bucket to create a watertight seal. This will prevent contaminants from entering the bucket and preserving what is inside. Flip them over to create an instant seat to ease legs and backs and two with a board between to create an impromptu shelf or bench. Your garden will not be complete without at least a few of these. Best for: Just about anything! What size pot do I need for my plant? Think about the final size of your plant. How big do you want it to grow? First, its important to understand you will likely not be using one pot throughout the entirety of your grow. Accommodating your plant's growth with different pot sizes is crucial to root health. A general guideline is you will need a 2 gallon pot for every 12" in plant height. Remember that every plant is different, and some grow very short and bushy, so this won't always hold true. Watch for root development, as this indicates when it is time to transplant. 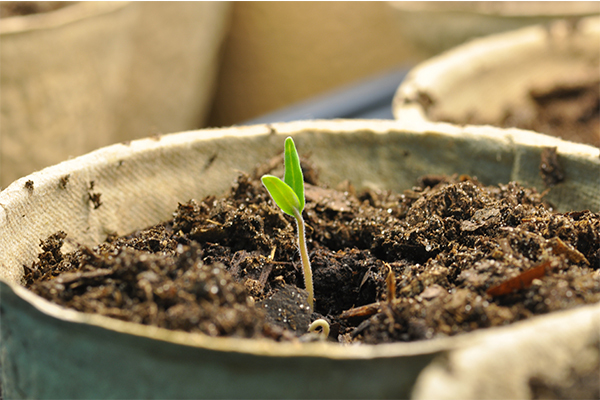 We advise you to use multiple pots throughout the growing cycle, and to transplant as growth occurs. Start very small, such as a 1 gallon pot or a red solo cup with drainage holes. Starting with a smaller pot prevents the likelihood of over watering, and will provide better aeration for the tiny root mass at first. 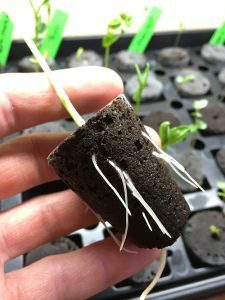 As your clone or seedlings root system starts to develop, the time will come to transplant it from the original 1 gallon pot into a larger container. This will allow the roots to expand even further, and accelerate plant growth. When transplanting, pay close attention to not disrupting the root zone. This can cause a stunt in growth. Have your new pot ready, and filled partially with your growing medium. If you are transplanting indoors, be prepared for a mess. Turn the potted plant upside down, and support the stalk with your hand. Gently shake the pot with the other hand, and the plant should come free easily, assuming it is not root bound. Then, place the plant into the new container, and fill the rest of the pot with growing medium. 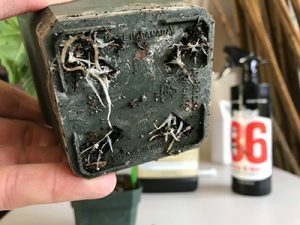 If you used a root plug for your clone or seedling, this process is even easier, since you can simply plant the root cube within the garden pot. This clone can be transplanted in the root plug directly into a new container. If you are growing an auto-flowering variety, or simply don't have the time to transplant, it is possible to grow in one container. You will probably start with a large 8-10 gallon container. Watering will need to occur in small doses. This ensures the roots do not drown, but keeps them continuously moist. Watch for the first inch of soil to become dry, and then water again, in a small circle around the plant. As the plant grows into this container, you can start to water more regularly. Growth will start much slower in an over-sized pot, but skipping transplanting will make your life easier and reduce the chance of mistakes. If you are a new grower, you may be better off starting with one pot. Questions? Contact us at 888-815-9763 or email support@hydrobuilder.com.